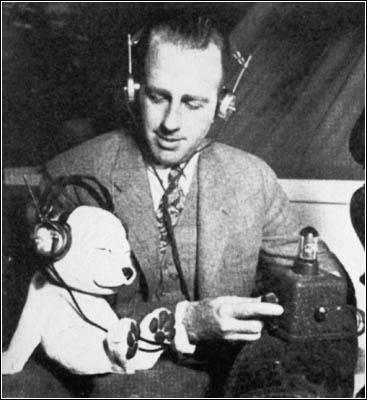 Powel Crosley Jr. with his first tube radio set, the Crosley Pup, along with advertising mascot. The young Crosley attended the Ohio Military Institute where he graduated with a high school degree in 1905. He then attended the University of Cincinnati but dropped out after two years. He was fascinated by automobile technology and all things mechanical in general, and also interested in Henry Ford’s assembly line techniques. After several failed attempts to start his own automobile company, he along with his brother Lewis, became successful at manufacturing and selling auto parts. While at a department store in early 1920, Powel’s young son asked for a radio. Crosley was shocked at the prices for an item which he viewed as a toy. At the time, even less expensive radios could come with a price tag of $100 or more, the equivalent of about $1,300 in today’s dollars. Instead, Mr. Crosley purchased a book about radios and together with his son, built their own. He was impressed with the technology and realized he could manufacture them for less. 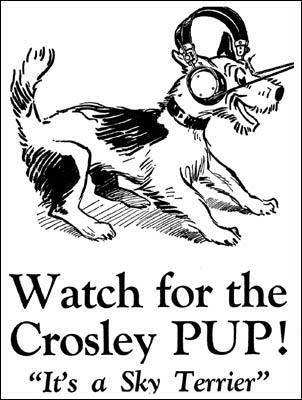 Part of a Crosley Pup magazine advertisement as it appeared in numerous magazines. Using the existing facilities of his auto parts manufacturing plant, he produced his first model radio, the Crosley Harko, a tubeless crystal radio in 1921. While not as powerful at a tube set, it sold for only $7. Still a reasonable piece of change at the time, but dirt cheap when compared to tube sets; they flew off the shelves. By 1924, for a period of time, Crosley was able to lay claim to being the largest manufacturer of radios in the world. In 1925 they released the “Crosley Pup,” which was a one-tube, battery-powered regenerative receiver with headphones. It sold for $9.95. Apparently inspired by RCA’s logo of Nipper the dog listening to “his master’s voice” on a phonograph, and tying in with the name of their first tube radio, Mr. Crosley also chose a dog, only this one listening with headphones. In addition to producing his first radio sets in 1921, Powel Crosley Jr. also recognized that he could sell more radios if there were more stations to listen to. After developing experimental station 8CR, he applied for and was granted a license for a 50-watt station bearing the call sign WLW, operating on 700 kHz near Cincinnati Ohio. As technology developed, particularly that of higher power tubes, he applied for and was granted several power increases over the next six years. By 1927, WLW was transmitting with 50,000 watts. Powel theorized that the more powerful he could make his radio station, the cheaper he could sell his radios. This was based on two concepts: one being if more listeners could hear the station, he could sell more sets and make them cheaper in quantity; the other being a more powerful signal requiring a less sophisticated, less powerful and therefore less expensive receiver. His radios, like his car parts, sold for less than many other name brands. He had one other selling point—unique at the time—his products came with a money back guarantee if the customer was not satisfied. By 1928, the company began building a new facility to house manufacturing facilities and WLW studios, located in the Camp Washington neighborhood of Cincinnati. The Crosley Radio Company would go on to hold a position in the top five radio manufacturers in the U.S. leading up to WWII, producing sets such as the 1928 metal cabinet “Gembox” depicted here. The metal cabinet was less costly to manufacture than a wooden one, and provided some shielding against unwanted electrical noise and static. While not as sophisticated as the competing Atwater Kent 40 series metal cabinet radios, they sold for about 25 percent less. This particular Gembox has an interesting story. I found it sitting undamaged on a shelf, all that remained of a house that had been torn down for highway construction back when I was a kid around 1969. It appeared to have been in a small closet that had been walled up as part of a renovation project. It was returned to working condition with only minor repairs. The radio uses Professor Hazeltine’s Neutrodyne circuit. The story does not end here though. In 1934, Powel Crosley Jr. applied to the newly formed FCC for experimental test authority to increase the power of then 50,000-watt WLW to 500,000 watts. Apparently bigger is better, and Crosley was still certain that the more people could hear his radio station, the more they would buy his radios. I can’t help but wonder if it ever occurred to him that people might enjoy listening to other stations from time to time. To put the magnitude of such a station in perspective, to fully modulate an AM signal (add the audio component to the radio wave), the transmitter must be capable of producing peaks of four times the average power. Therefore a 500,000-watt transmitter must produce peaks of 2 million watts. This certainly would be a challenge using 1934 technology. WLW would retain the record of being the highest power AM radio station ever licensed in the United States. It would be more powerful than any U.S. FM station, and more powerful than the majority of international shortwave stations. Based on electric rates of the day and a transmitter efficiency of about 50 percent, it cost about $560 per day in electricity to keep the station on the air. If we were to do that today here in New England, based on average commercial rates of 15.2 cents per kilowatt hour, it would cost us nearly $3,650 per day in electricity. The technical details of the transmitter are beyond the scope of this article, but its full story and pictures can be found at several of the web links listed at the end of this article. A detailed description of the transmitter was given in the IRE (Institute of Radio Engineers) October 1934 journal. Faced with many challenges, the engineers and designers created what was an engineering marvel, even by today’s standards. Some of the highlights are worthy of mention. To dissipate the tremendous amount of heat generated by such a transmitter, the tubes were water cooled. A large cooling pond with fountains to dissipate the heat was located next to the transmitter building. A typical 50,000-watt broadcast station uses a four-inch-diameter transmission line to feed the signal from the transmitter to the antenna. The WLW feed line was nine inches in diameter. The line delivered the 70-amp, 7150-volt radio signal (without modulation) from the transmitter to the tower. With modulation (audio added) the voltage could reach 14,300 volts at 143 amps. The base of the tower and tuning components were enclosed by fencing, as anyone coming in contact with the half million watt system would have been instantly vaporized. Fortunately, so far as I can tell from published information, there were no fatalities associated with the operation of the station. Part of the credit for this lies in the extensive safety features built into the transmitter, including many interlocks and shut down circuits that would kill power before a worker could open a cabinet or enter a room. Another new concept was one of modular design, which allowed a section of the transmitter to be shut down and de-energized for repair, while leaving the rest of the transmitter operational at reduced power. WLW's tower is still in use today. 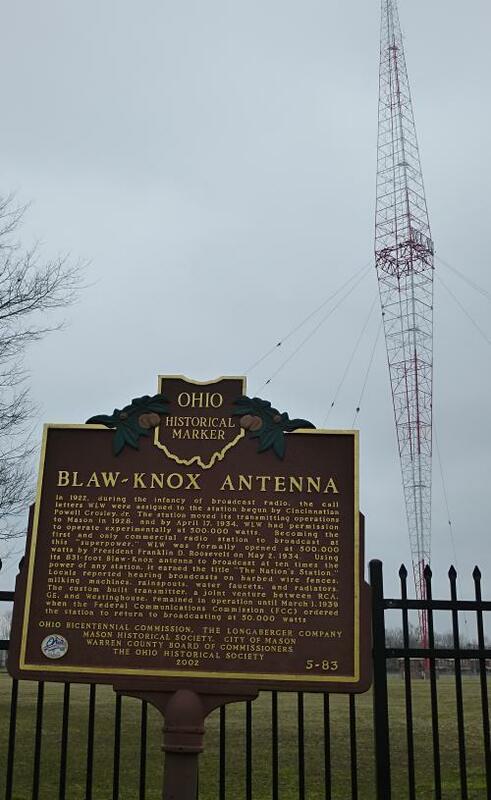 The massive 831-foot-tall tower used to radiate the signal was made by the Blaw-Knox Company, at that time the leading manufacturer of radio towers. The tower consisted of a pair of four leg-free standing towers, their bases bolted together and stood on end, so the bottom one was upside down and the top one right side up, supported by eight guy wires. It was an iconic design, and the tower is still in use by WLW today. The tower is designated as a historical site by the State of Ohio. Designing and building the transmitter was a joint effort of General Electric and RCA. The transmitter used 20 RCA-type UV862 tubes, each over five feet tall. Several sources claim that the UV 862 is the largest production radio tube ever manufactured. * Twelve were used for the radio frequency section, and eight for the audio section, referred to as the modulator. Here’s one for the audiophiles: the audio section had two 35,000-pound output transformers, each 10 feet tall, and could produce 400,000 watts of audio. It is believed to be the largest vacuum tube audio amplifier ever built. The 20 tubes alone (not counting spares) cost nearly $40,000 Depression-era dollars. The main body of the transmitter was 15 feet tall, and 60 feet wide. The station could be heard in all of the lower 48 states by day, and in many parts of the world by night. As such, it adopted the slogan “The Nation’s Radio Station.” The FCC withdrew the experimental license in 1939, returning day power to 50,000 watts, but allowed continued high power operation at night, largely because the signal could reach over the pole and around the world bringing news from home to U.S. troops and allies during the beginnings of WWII. By 1942, government-run shortwave stations were in place to serve this purpose and all high power operation was discontinued. At the start of WWII, the station was considered such a valuable strategic asset that a 60-foot guard tower was built on the property and staffed with armed guards for fear of sabotage. Crosley is noted for other firsts. In 1934, he purchased the Cincinnati Reds baseball team from owner Sidney Weil who had lost much of his wealth after the market crashed. He convinced the league to let him hold games at night, under newly installed electric lights, something which had never been done before. Attendance jumped by over 400 percent. Crosley was a radio tycoon, so it was only natural for him to begin broadcasting the games. Regularly scheduled play-by-play coverage of the games was another first. It was so successful in both sponsorship and driving stadium attendance up that within five years, almost all major league teams were doing the same. As the country began to emerge from the Great Depression, he finally achieved his dream of starting a successful automobile company. Keeping to his Depression-era philosophy and with an idea way ahead of its time, the company produced compact (even small for today’s compact standards) no frills cars with two- and eventually four-cylinder engines that sold for under $350. He sold nearly 5,800 of them prior to WWII, halting all domestic production in 1942. Leading up to the war, Crosley was in lockstep with other successful radio manufacturers in mass producing affordable plastic table radios using the “All American Five” circuit. During the war, the Crosley Company produced military radio equipment and also developed a proximity fuse, a device that used radio waves to arm a bomb as it approached its target and precisely control the delay, and hence penetration depth of an armor-piercing shell. It was considered, along with radar and the atomic bomb, to be one of the most significant developments of technology that helped win the war. 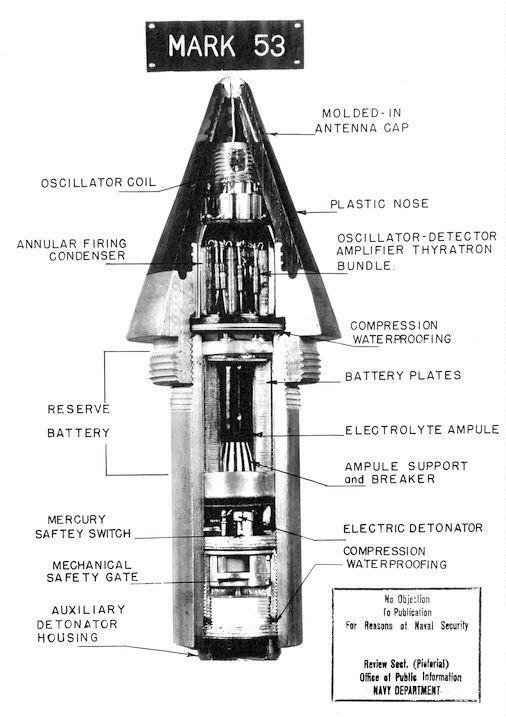 Crosley's proximity fuse and detonator. Post-war, in 1945, Powel Crosley Jr. sold the Crosley Radio Corporation and WLW to the Aviation Corporation (AVCO). As part of the deal, he was placed on AVCO’s board of directors for several years. Perhaps the deal was a bit premature though, as the company would remain highly profitable producing televisions during the 1950s. He continued to manufacture Crosley automobiles. Notably, the company introduced the disc brake system for the first time in America and made it standard equipment on its entire line of vehicles in 1949. Like his pre-war vehicles and still way ahead of their time, the cars were economical, and achieved between 35 and 40 miles per gallon. With gas rationing over, cheap gas prices, and the desire for ever larger cars, sales dwindled. After selling nearly 75,000 vehicles, the company shut down in 1952. Powel Crosley Jr. died March 28, 1961. He was 74. The Crosley name was acquired by Modern Marketing Concepts in 1984. The new Crosley Radio Company, while not affiliated with the old one in any way, manufactures modern reproductions of original Crosley radios. Kind of a nice ending to the story.  WLW is still on the air with 50,000 watts at 700 kHz. The 1927 50-kW transmitter is still functional and as a tradition, the engineering staff puts it on the air on New Year’s Eve. Most of the 500,000-watt transmitter is still intact, but not operational. Tours of the facility are offered several times a year. Tuned to WLW's frequency, and connected to a good antenna, the Gembox will still pull in the station at night when atmospheric conditions are right. *Some tubes used in TV transmission, called Klystrons, are physically larger than the UV862. GE did produce a prototype of a larger version of the UV862, seven feet tall, and tested it at their station WGY in 1927 (ref Popular Science magazine July 1927) but never put the tube in production.